How Do Lackluster SF Giants Keep Winning in Post-Season with Bumgarner 'One Man Wrecking Crew' ? | Where Did You Go Joe Dimaggio? HOW DOES ONE PLAYER A BASEBALL TEAM MAKE? Even in basketball, with only five players on the court at a time, it’s unlikely that one dominant player can ‘make’ a team.’ In baseball it’s even less, with nine players necessary to field a team plus later relief – but when the Giants seem to play in the post-season there’s no need for relief. One in three games Madison Bumgarner is the starter – and in the other two games has been the main reliever in recent playoff history. When it comes to hitting, he’s right there with the other hittings, sometimes even called on as a pinch hitter, extremely rare for a pitcher. 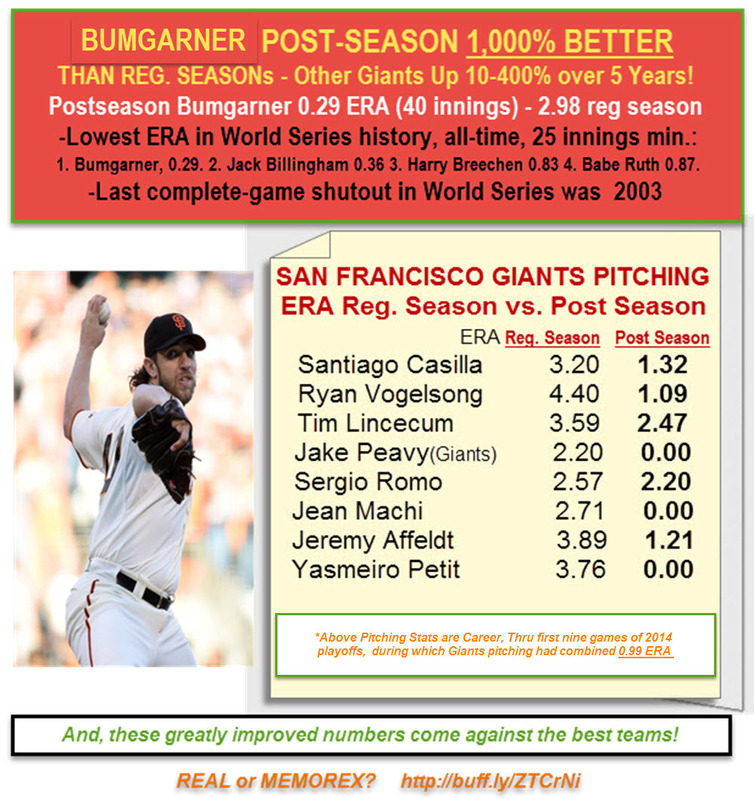 Bumgarner has been working his ‘magic’ now not just for one game or series but for three successive Giants playoff series in which he’s won every decision (10 of 10) with an unheard – of record setting 0.29 ERA through 2014 (and lower now with his shutout performance against New York in the 2016 Wild Card playoff. 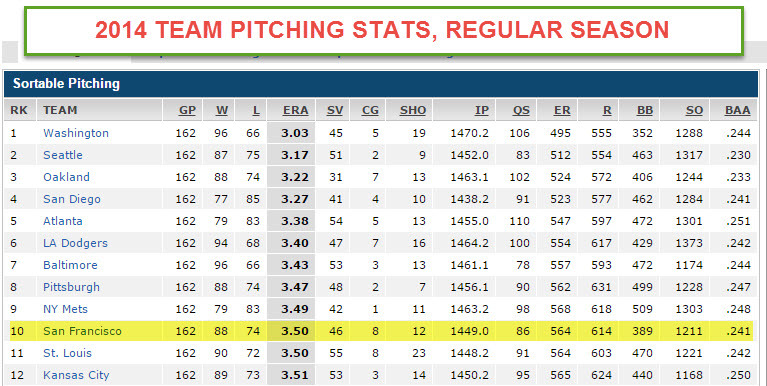 THAT’S A 1,000% IMPROVEMENT BETWEEN THE PLAYOFFSThis is the same Bugarner who had struggled-yes, struggled the second of 2016 with a near 5.00 ERA in which some of the least-likely teams such as San Diego were hitting him hard. Now, again, he’s beating the best teams in the playoffs going on four years! ‘Splain that one Lucy. 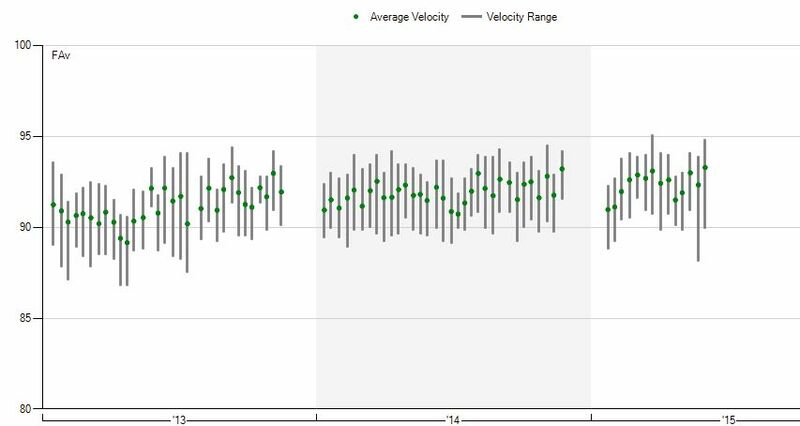 ‘BUMGARNER EFFECT’ – Super Human or Something Else Going On? Bumgarner credits his success to the Giants ‘clubhouse,’ as in unified. 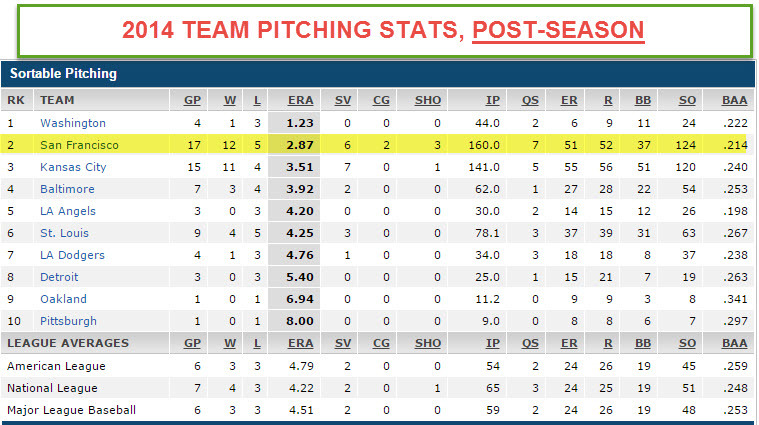 Last time we checked clubhouses didn’t pitch or hit for average. In the one-game wild card anything can happen but in a five game, or , especially, seven game series there’s no reason why one team would be more ‘designed’ to win than another. But, even in the one-game series with the Mets we saw a bit of the ‘Bumgarner Effect,’ with Bumgarner breezing by not just for six innings like his comparable counterpart, Noah Syndergaard but eight innings – and he could and probably would have gone on longer if the Giants hadn’t gotten that unlikely three-run (homer) lead, thanks to one Conor ‘Who He?’ Gillaspie. If Gillaspie hadn’t hit the homer some other Giant – or Bumgarner himself – would have gotten the game winning hit, while Bumgarner continued to effortlessly (it seemed) sailing through nine, ten, 12 (?) innings. 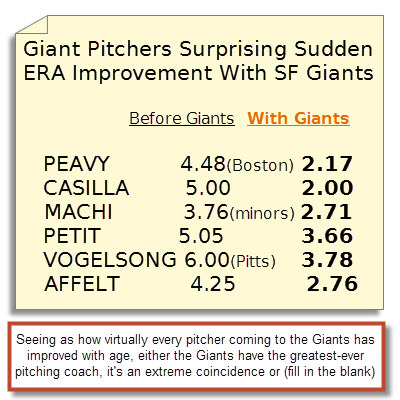 With Bumgarner personally responsible for pitching effectively nearly half of all Giants innings as starter and reliever in post-season (as he did in 2014 and will probably do again since the Giants relief has been so weak this year) , it only takes minimal hitting from anybody to secure Giant wins. And while Giants very average regulars don’t hit much , it’s often the ‘gray market’ players like Gillaspie, this year, that become a major factor in Giant wins. We’ve seen at least one guy come in every year to play well above his lifetime average; in 2010 it was Cody Ross hitting eight homers the last month, in 2012 it was Marco Scutaro coming over from Colorado only to suddenly raise his average 100 points with the Giants wile sparking many wins, in 2014 Travis Ishikawa hitting a big, surprise, homerun to win a game and more, and now, it looks like Gillaspie will be Mr. 2016 – but it could be anyone. The Giants, as a whole , tend to somehow raise their collective average in the playoffs against better competition. So, year after year, we’ve seen 10 teams with high paid superstars on other teams lose to a very average Giants team that has snuck into the playoffs via the Wild Card now three of the four years, yet we’ve seen the Giants no-power, slap hitters come back 10 successive playoff series since 2010 to beat better teams (on paper or otherwise. ) It’s unreal and could continue until someone realizes there’s something else going on to allow probably the worst of all playoff teams , in reality, to go on to win time and again. They say the Giants are lucky or it’s because they don’t strike out. But, how is it, these players on an average don’t strike out? Since Bonds, the Giants ‘clubhouse’ has Bumgarner refers to it has had an interesting culture – a culture featuring more players with PED histories than any other team. You may remember that the Giants had a nucleus of them with Bonds (i.e. Benito Santiago, Matt Williams, Rich Aurelia, Marvin Bernard, etc.) during their World Series (2002) Era of the early 2000’s. Since then the Giants have featured 27 KNOWN players who have used PEDs including six KNOWN ones who were instrumental in helping the Giants to their first three world series in 56 years -namely Andres Torres(2010), Melky Cabrera (2012) , Guillermo Moto(2011,2012) , Jose Guillen (2010), Miguel Tejada, Michael Morse (2014). Then there were many other suspects who displayed greatly elevated numbers after coming to the Giants and even performing in the playoffs versus the regular season. FREE E-book Excerpt : BRUCE BOCHY ’30 Years Behind The Shadows of PEDs For more details please see ‘More Giants Shadows.’ Two brave SF Chronicle writers wrote a book ‘Game of Shadows’in 2007, finally exposing the San Francisco Giants’ new homerun king, Barry Bonds-who never hit more than 36 homers before coming to the Giants ; those writers of the book were effectively run out of town by Giant sycophants in liberal San Francisco where anything goes and Barry Bonds remains a hero . Then there was the Mitchell Report that may have, temporarily, curtailed the cartoonish homer totals. 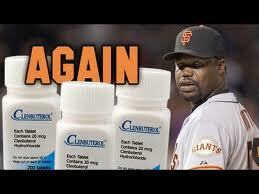 But, Performance Enhancing Drugs have never gone away. 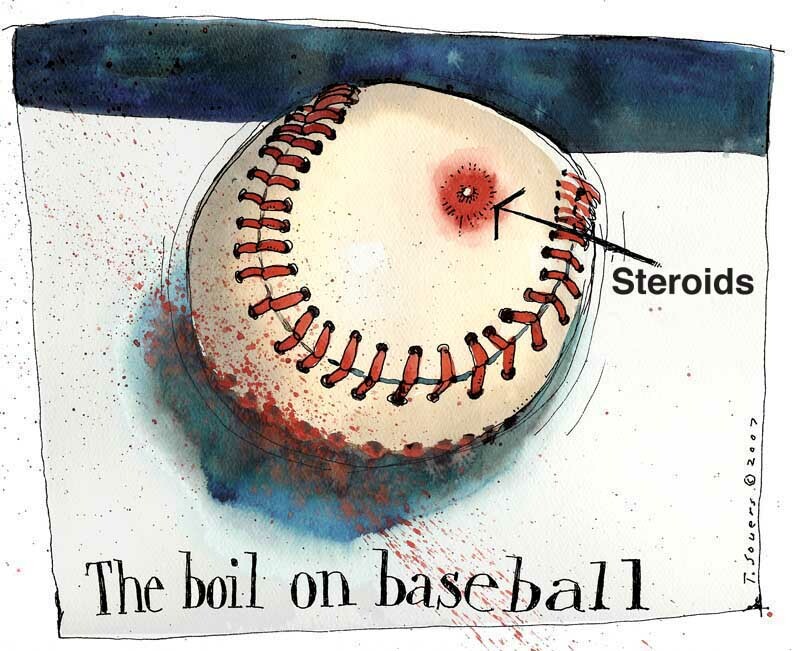 Players have just adapted to weak MLB drug testing; just as Bond’s PED guru, Victor Conte, who has repeated frequently that players must be ‘dumb or dumber’ to get caught. Even with tighter, more frequent testing players are now hitting more homeruns this year than in recent memory ( about 20 players have more than 30 homeruns with virtually every team having at least one – except the Giants). Note that the Giants, despite Bonds showing he could hit homers anywhere, the Giants have the second fewest number of homeruns, for which there may be several reasons; the Giants have tried to steer clear of their past PED reputation while going more for average and pitching (despite having regular season pitching problems this year). But, all problems seem to disappear in October when the Giants appear to become a different team. So, after that brief hiatus following the Mitchell Reports, and, perhaps, Biogenesis bust afew years later, PEDs continue. Anybody ‘non-dumb or dummer’ can easily detect any number of such players, including ones who have been busted and still playing while putting up virtually as good numbers when they were indicted (e.g. Melky Cabrera, Nelson Cruz, Johnny Peralta). Then there are others who may not have been officially indicted but their numbers are too cartoonish to overlook (e.g. David Ortiz, who is the only player since Bonds to hit over 35 homers and .300 after the age of 40). Meanwhile, the Giants – 20 years since Bonds came on the scene in San Francisco – have perfected the art and science of PEDs in the land of Bonds and Balco – knowing what and when to use; only Melky Cabrera has been caught while playing for the team, proving ‘dumb or dumber’ with his lame ‘website’ excuse. Just with the named players, the Giants got enough production to get them into the post-season – and we know what happens from there. 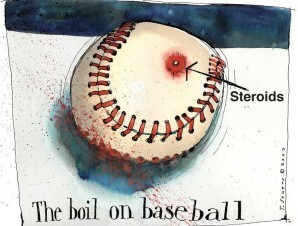 And, the beat goes on, with baseball in fairly good shape -not raising but not losing attendance with the commissioner Rob Manfred appearing content, like his predecessor, that the game has been ‘cleaned up,’ despite more PED busts from MLB drug testing this year (12) than in any other one year (the Biogenesis and Mitchell Report years don’t count as those named players were only caught for other reasons than regular MLB drug tests.) Without continued PEDs we believe the Giants would still be waiting for their first World Series in over 60 years much like the Cubs (108 years). 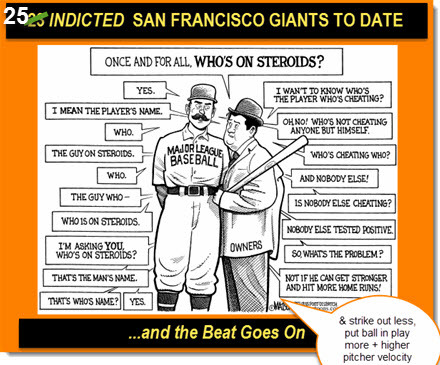 Now, thanks to what Bonds and the Giants popularized, other teams are being infected by the Giant Cockroach -as some Giants and former Giants refer to themselves – but the Giants remain so far out ahead of the ‘Game’ who knows how long the Giants will Keep Winning When It Counts – until REAL , old school baseball fans wake up and do something about it. Meanwhile, baseball will continue, living largely off a new generation that has only known PED baseball. Gone are the Golden Years of Baseball when baseball was the number one sport; hard to ruin a great game though the Giants have made a good try. Perhaps nobody cares anymore in a changing culture, led by liberal towns and politics as in San Francisco. 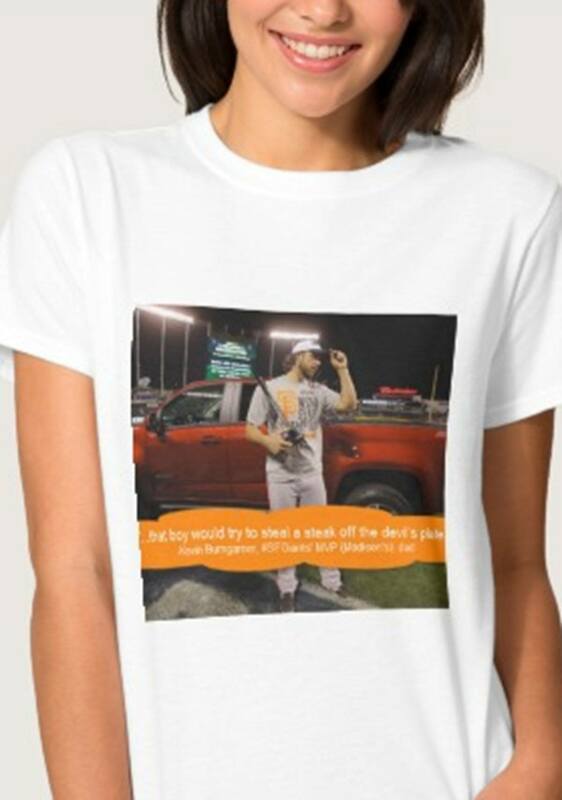 Are #SFGiants /Any Team Really Designed for Post-Season 0 Is Bumgarner Greatest Ever?